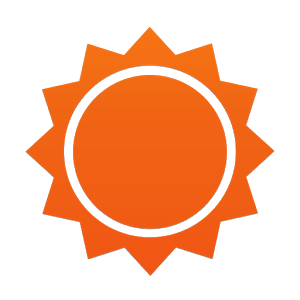 AccuWeather has been my go-to weather app for a long time now. 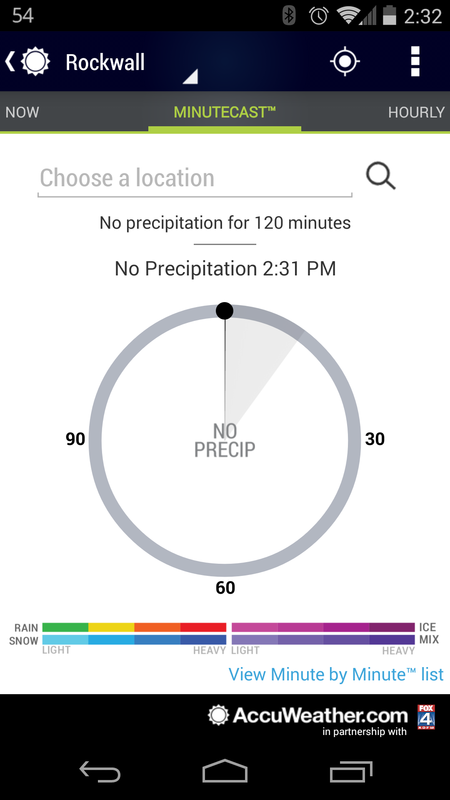 I still have like eight others installed (don't judge me), but I always find AccuWeather to be the most...accurate. 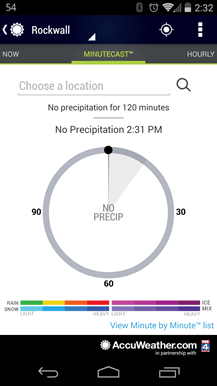 Today, the app is getting a kickass new update that brings up to the minute forecasts. 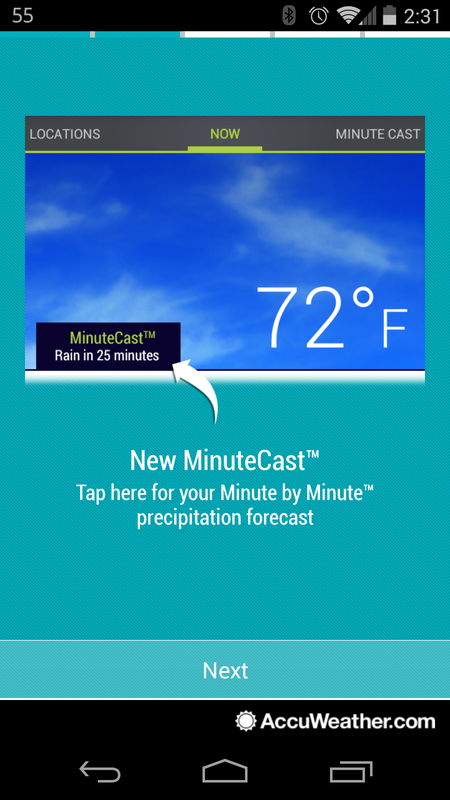 It's called – get this – MinuteCast, and it basically provids minute-by-minute forecasts for a two hour window. Oh, and it uses your exact street address, so you know exactly what's coming. Super cool stuff. 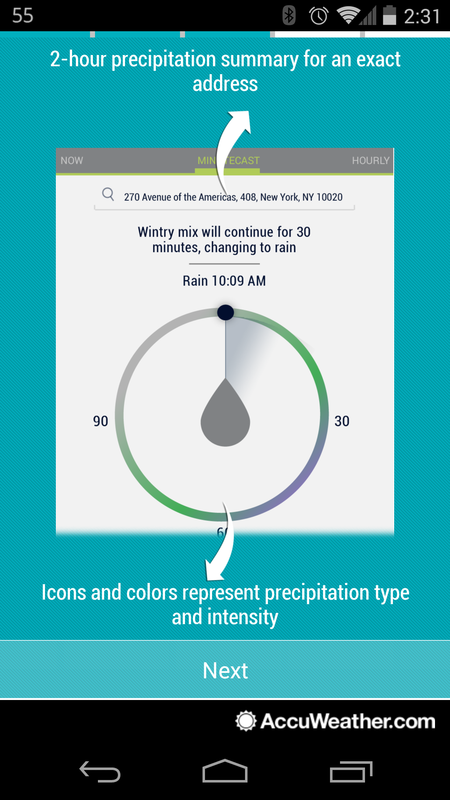 This feature is available in the US and Canada only. 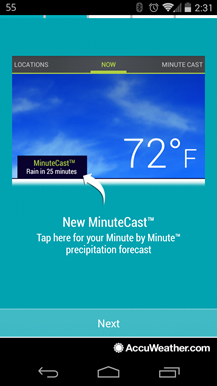 Aside from MinuteCast, today's update also introduces a feature called Local Forecast Summary, which aims to provide a short summary of weather for your exact location over the next three to five days. All in all, if you like knowing exactly what the weather is going to bring, AccuWeather is now an even better way of keeping track. Grab the update below.